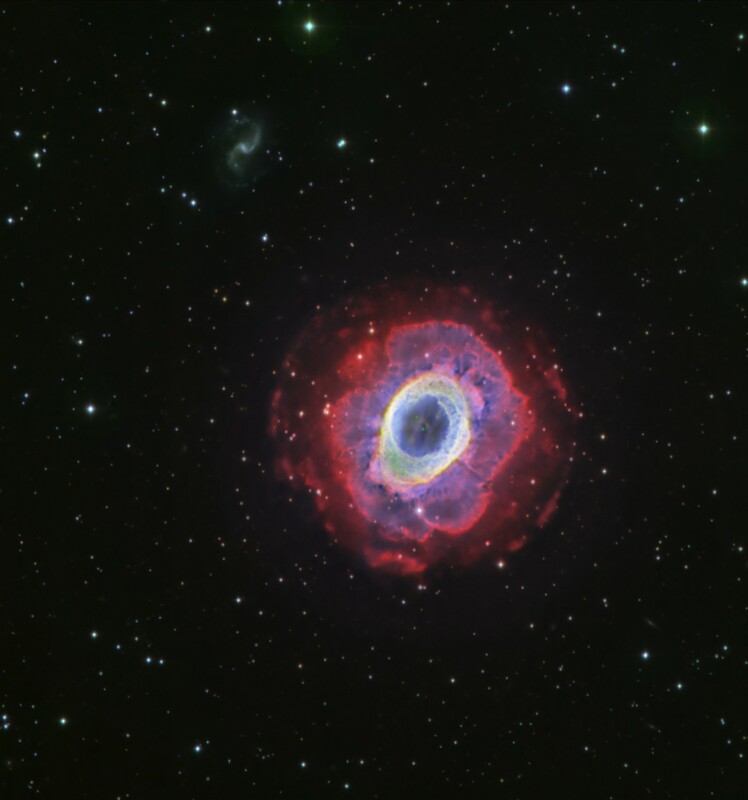 This image of the Ring Nebula or Messier 57 was obtained using the Wide Field Camera on the Isaac Newton Telescope. It is a three-colour composite made from data collected using filters to isolate the light emitted by hydrogen alpha (H-alpha), doubly ionised oxygen (OIII) and ionised sulfur (SII) atoms, and coded in the image as red, green and blue respectively. Credit: D. López (IAC) [ JPEG | TIFF | PDF (with text) ]. 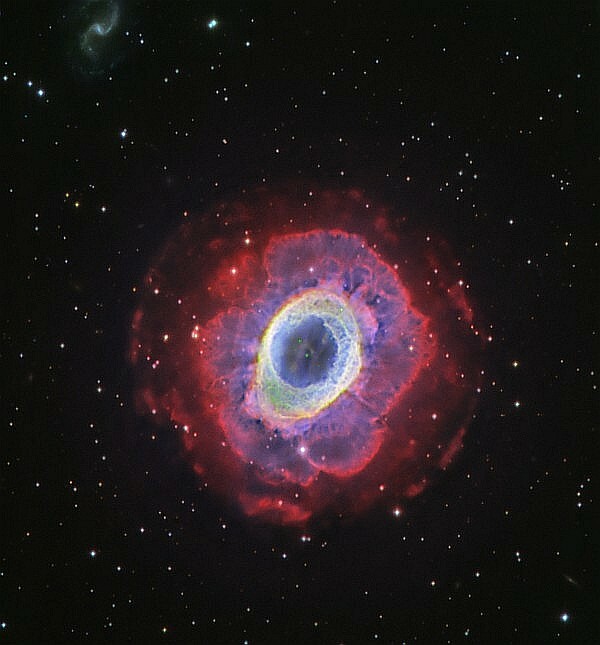 Messier 57 (M57) planetary nebula, also known as the "Ring Nebula", is often regarded as the prototype of a planetary nebula. Observations have confirmed that it is, most probably, actually a ring (torus) of bright light-emitting material surrounding its central star, and not a spherical (or ellipsoidal) shell. This image was obtained and processed by members of the IAC astrophotography group (A. Oscoz, D. López, P. Rodríguez-Gil and L. Chinarro).